Average overall ratings - Based on 127 reviews. Tossa de Mar is a pretty town with cobbled streets, constructed around a magnificent ancient castle, located in the Spanish region of Catalonia on the Costa Brava. The beautiful mountainous hinterland with lush green valleys, gorges and natural springs creates a stunning backdrop. There is also a bustling beach life in this attractive resort which appeals to couples and families alike. An attractive part of this historic town is the Villa Vella (old quarter) with its ancient defensive walls and towers still intact. 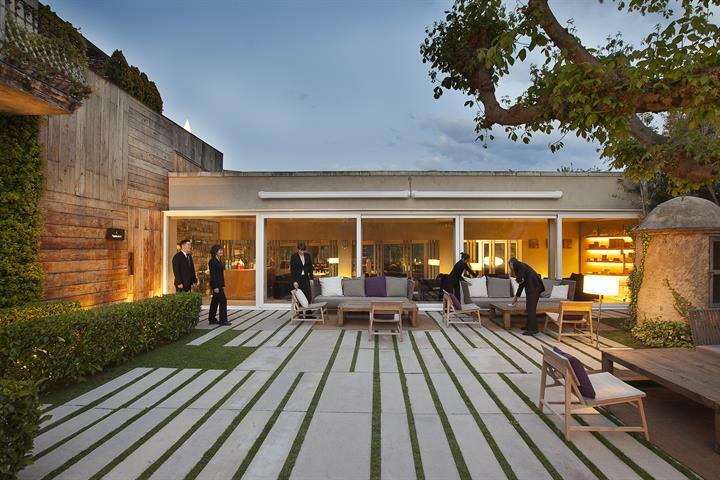 Situated 95 kilometres north of Barcelona and 100 kilometres south of the French border, the resort is approximately 40 minutes drive from the very well served airport at Girona, and around 1 hour 30 minutes by car from the major international airport in the Barcelona suburb of El Prat. Medieval Tossa dates back to the year 966; in 1187 the castle was built on the headland to defend the town. Today the castle is only invaded by tourists, who delight in the sense of history and wonderful views to be had from this, the highest point of the town. The coastline is a 14-kilometre stretch of sandy beaches and small sheltered coves. The main beaches around the town are very well served by facilities such as showers, sun beds, kiosks, restaurants, bars, lifeguards, first aid, playgrounds and various land and water sports. There is a full range of water sports to be enjoyed in the area; the crystal clear waters and nearby islands are a magnet for scuba divers, snorkelers (and those who prefer underwater discovery from the safety of a glass bottomed boat!). The many traffic free paths along the coast are attractive to walkers and joggers, plus cycle hire is available. Close to the town are riding stables, go-karting and tennis. There are several good golf courses within one hour’s drive of Tossa de Mar. Remember to book your tee time in advance, as turning up without a reservation often leads to disappointment. You may well be asked for evidence of handicap. The Sa Riera park is a man-made nature reserve consisting of a Mediterranean forest, river and lake with an underground watering system all designed to encourage interest in and a wealth and diversity of plant and animal life. The Massif of Cadiretes is a vast natural reserve, which extends over most of the wider area of Tossa between the plain of La Selva and the coast. This wild, mountainous territory is intersected by riverbeds, lush valleys and hollows, and has a special ecosystem born out of the Mediterranean climate. The result is a rich variety of flora and fauna that thrive including many rare species that have been found along the six kilometres of protected coastline. 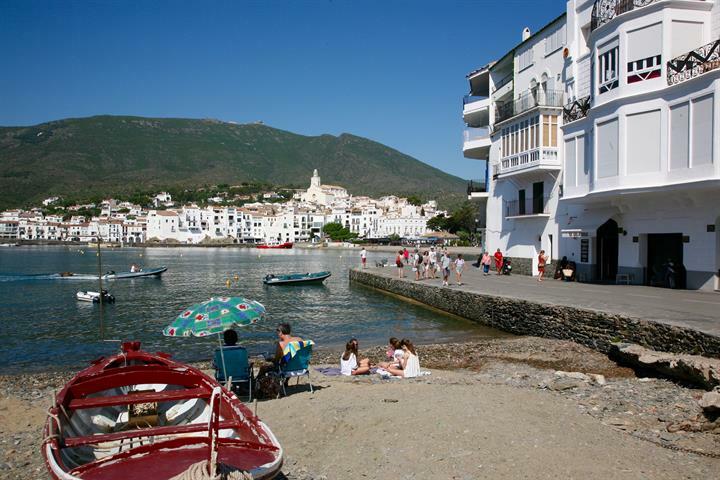 Tossa del Mar has many restaurants and eateries. Pizza is very popular and there are some good pizzerias in town. 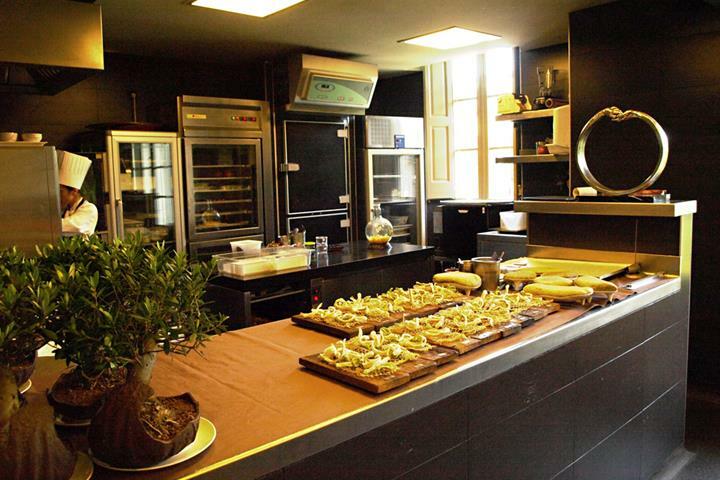 Look out for the ones that bake in a wood oven (horno de lena) for extra good flavour. Seafood is also popular here, and the choice is extensive. You might like to try the Restaurant Bahia, serving fresh daily fish choice and many other excellent Spanish dishes, located on the Passeig del Mar. 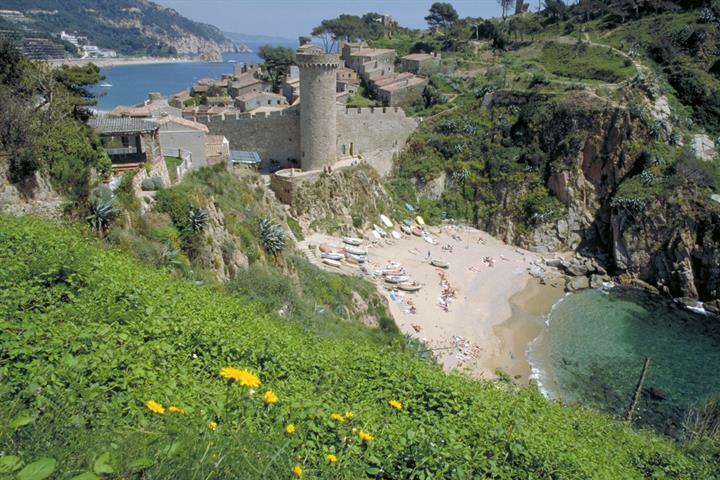 Tossa de Mar enjoys a mild climate throughout the year. Sunshine prevails on most days. However the visitor should be prepared for some precipitation especially during the winter months. 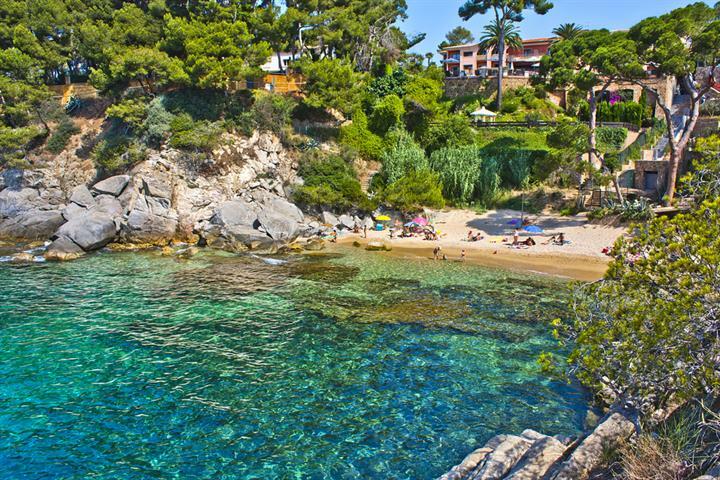 It doesn´t matter if you want to go to the most popular beaches or more secluded little bays, Tossa de Mar has it all. Pick the best beach for you. 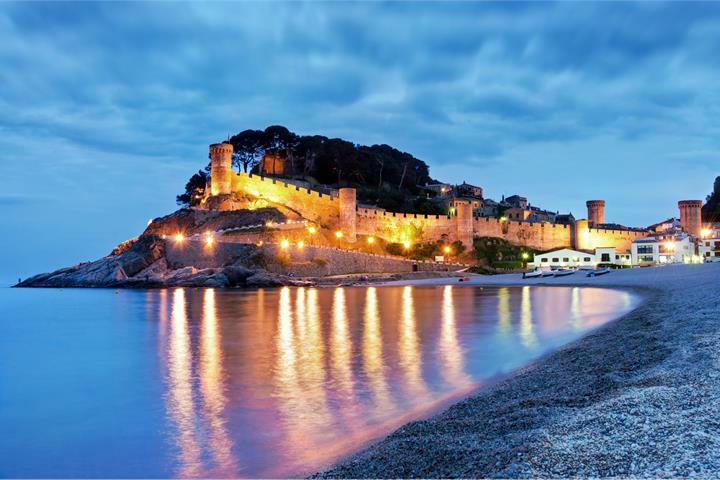 Tossa de Mar is one of the best destinations with sunshine and beaches on the Costa Brava. The perfect place for a family holiday. 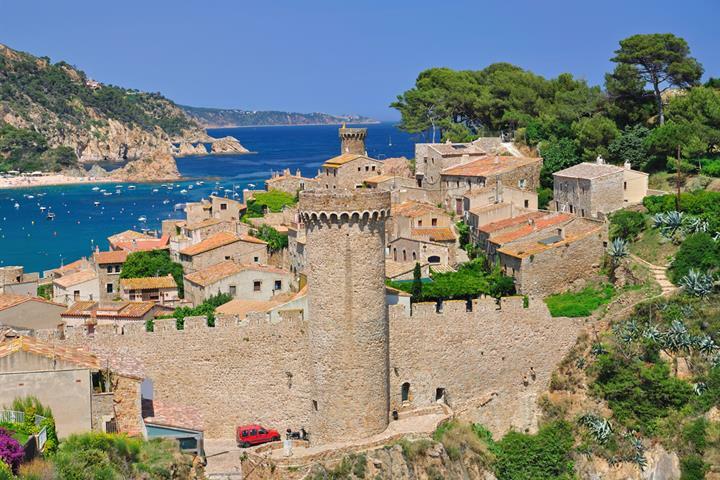 Tossa de Mar boasts sand, sun, and most notably Vila Vella, the last fortified medieval town of the Costa Brava. Tossa de Mar is without a doubt one of the most beautiful towns in Spain. Once a meeting place of great artists, it is known as the "blue paradise". 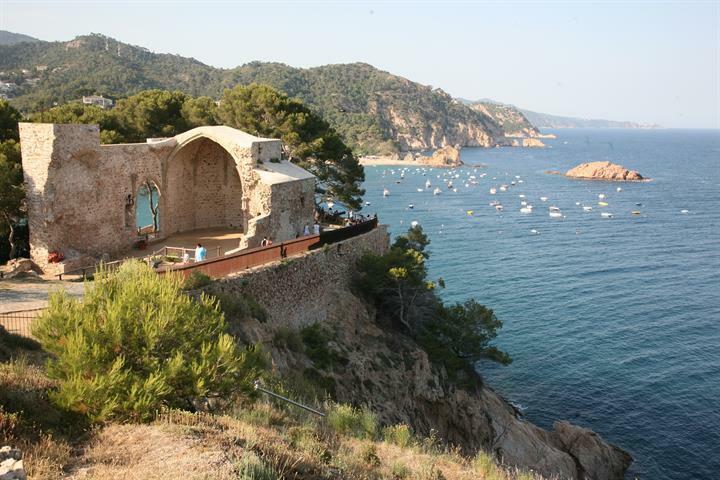 Costa Brava is really nice except Lloret de Mar.